The Los Angeles Angels have had a world of difficulty the past few seasons putting together a starting rotation that could stay healthy and perform consistently. In their quest to change that, the Halos asked the Dark Knight himself. On Tuesday, the Angels agreed to a one-year deal with starter Matt Harvey worth $11 million, plus $3 million in incentives based on the number of starts he makes. The caveat, of course, is that Harvey is far removed from his glory days with the New York Mets when he earned the moniker of the Dark Knight. 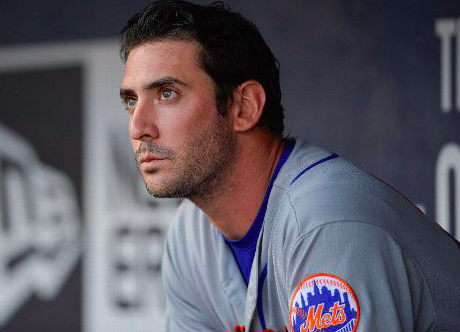 Harvey missed the entire 2014 season due to Tommy John surgery, only to come back strong in 2015. He went 13-8 with a 2.71 in 2015, helping the Mets reach the World Series. However, things started to fall apart after that. After a sluggish start in 2017, he was shut down and underwent surgery for thoracic outlet syndrome. Shoulder problems continued to plague him in 2017, as he posted a 6.70 ERA. Finally, the Mets had enough in 2018, designated Harvey for assignment after he posted a 7.00 ERA in four starts and four relief appearances. Harvey managed to land on his feet, as the Mets traded him to the Cincinnati Reds. Things were better for Harvey in Cincinnati, as he posted a 4.50 ERA in 24 starts. However, he’s still a long way from being the pitcher he was before the shoulder problems that started to plague him in 2016. Obviously, the Angels still view Harvey as a pitcher with some upside; otherwise, he would not be worth the $11 million base salary. Harvey will only turn 30 at the end of spring training, so he should be very much in his prime right now. On the surface, it seems that Harvey may have peaked too early in his career. However, as more time passes since his last major surgery, it’s always possible that Harvey will be able to recapture what made him so great early in his career. At the moment, the Angels are banking on lefties Andrew Heaney and Tyler Skaggs leading their rotation. That would leave Harvey to be the no. 3 starter, taking some of the pressure off him to be the team’s ace. Of course, there are also few certainties in the Los Angeles rotation, especially with Shoehei Ohtani and J.C. Ramirez set to miss the season with Tommy John surgery. The Halos may not be asking Harvey to be an ace, but they will be relying on him to be a consistent and reliable part of their rotation. In the end, it’s hard to ignore the risk the Angels are taking by signing Harvey, especially at a cost of $11 million. Harvey is far from a sure thing health-wise and may not be anything better than a back-of-the-rotation starter at this point of his career. Of course, there is still some upside with Harvey. However, for a team that’s had so many rotation issues the past few seasons, Harvey provides little assurance that things will be better in 2019.